Rutilated Quartz Crystal, Brazil. 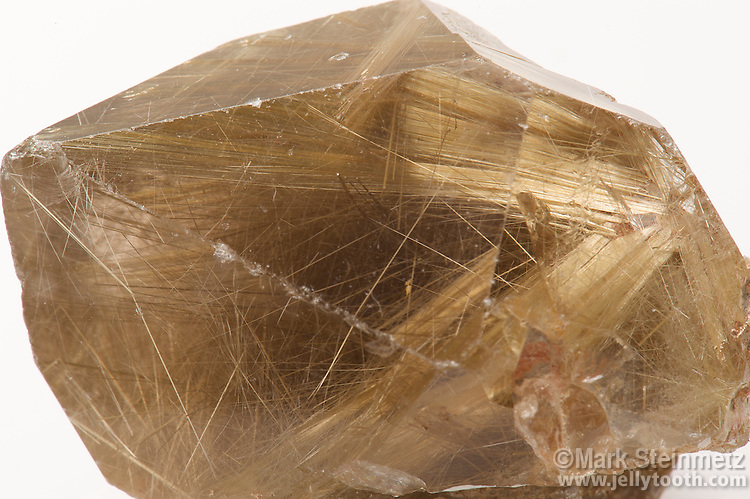 Rutilated quartz is rock crystal quartz formed with rutile needle-like crystal inclusions, which also impart the color. Rutile is a mineral composed mostly of titantium dioxide.